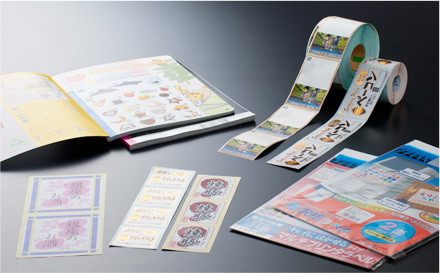 Castcoated paper Sticker | Self-adhesive paper | Our Products | Oji Tac Co.,Ltd. A cast coated paper known as “MIRRORKOTE® paper”, due to the mirror-like gloss on the surface. It is made by first coating the base paper with fine pigments and binder (adhesive), then contact drying the coated surface in a chrome-plated cylindrical casting drum.